Come in to check out our selection! Your Home for Cruisers, Dirt Bikes, Street Bikes, ATVs, UTVs, Side x Sides, PWCs, Scooters, and the New Slingshot! The staff at Kearney Powersports is proud to serve the greater Kearney as an authorized powersport dealer for Yamaha, Polaris, Kawasaki, Victory, and Slingshot. We are your one-stop for motorcycles, ATVs, side x sides, personal watercraft, scooters, and Slingshot. No matter where you might be in the Kearney area, we want to be your one-stop-shop for the best rides, equipment, accessories, and parts. No matter what the season, you can take advantage of the trails, the water, or the streets and we want to make sure you can enjoy every moment of it. If you're looking for the best in sport bikes, cruisers, dual sports, dirt bikes, ATVs, side x sides, scooters, or personal watercraft, our expert staff will be sure to find the right fit for your needs and your budget. We can also help you hit the road with a variety of motorcycles and the latest in Yamaha innovation whether you're interested in the Star Bolt or if a YZF-R1 is more your style. How about the popular Polaris RZR XP 1000 or the Ranger XP 900? 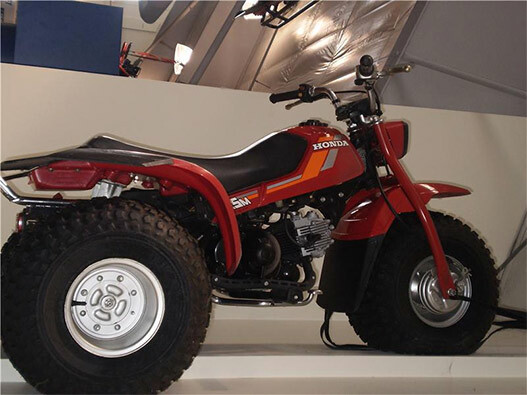 If off-road is your passion, hit the trails on a new Ace 570, General 1000, or Kawasaki Teryx4. These vehicles will climb, crawl, or swim anywhere you have to go in extreme terrain. Looking for gear for all seasons or parts so you can enjoy your ride? Well, we have that too! Shop for Kawasaki, Polaris, Victory, and Yamaha OEM parts, as well as accessories, motorcycle clothing, and all the latest helmets, saddlebags, and exhaust pipes, just to name a few. Maybe you prefer to shop by brand! If that's the case, we pride ourselves on stocking on the best quality names out there. If you're looking for Icon, Fly, AFX, HJC, G-Max, Scorpion, Thor, Moose, Cortech, Tourmaster, Dunlop, or Michelin®. Kearney Powersports is the place to go for all things motorcycle, scooter, ATV, or outdoor adventure! We are privileged to serve the Kearney, Hastings, Grand Island, North Platte, Hays, Columbus, Lincoln, Manhattan, Fremont, Omaha, Topeka, Norfolk, Nebraska City, and Sioux City areas. Do you prefer to shop online? Browse our virtual warehouse for riding gear and you'll find excellent clearance items as well! If you don't see what you're looking for, we can always special order it for you! Our certified technicians have a long standing reputation for providing only the best in service, maintenance, repair, bodywork, and, of course, tune-ups on all makes and models. We cannot wait to see you in the shop! Check out our specials page for great deals and specials on service. Call 1-800-843-2887 or click here to request service online. Follow us on Facebook for more news and special offers. Click here for details. We can also be found on Google+.